Responding to rumors published online last week, a representative for Bill Cosby spoke out Friday to assert that “there are no issues” in Bill and Camille Cosby’s marriage. A report from Radar Online, published Wednesday, claimed that the two were heading to splitsville after over 50 years of marriage (and, for Bill, accusations of sexual assault from more than 60 women). Cosby was convicted in April of the aggravated indecent assault of former Temple University women’s basketball coach Andrea Constand. 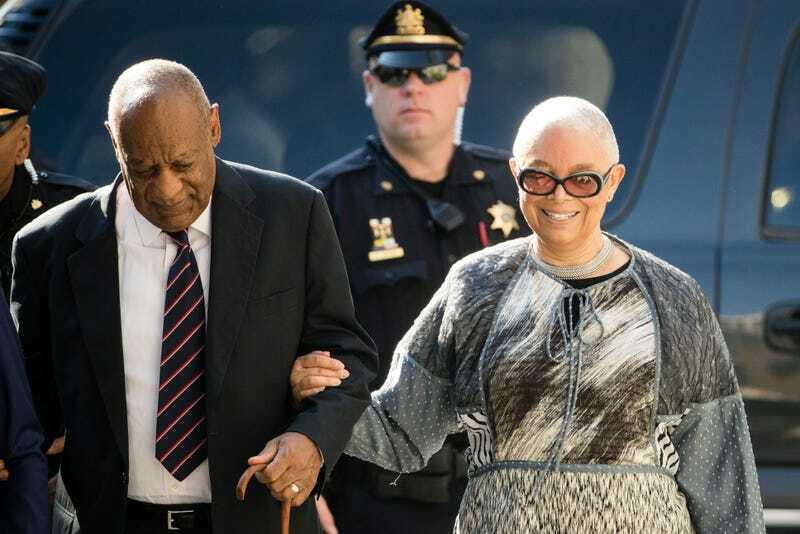 Following the verdict, Camille Cosby claimed that Constand had “perjured” herself and was motivated by money—despite receiving no financial award in the criminal verdict against Bill Cosby. She also called for an investigation into the trial’s prosecutors. Bill Cosby has yet to be sentenced, and his defense says he plans to appeal the verdict. He could face anywhere between five and 30 years behind bars.